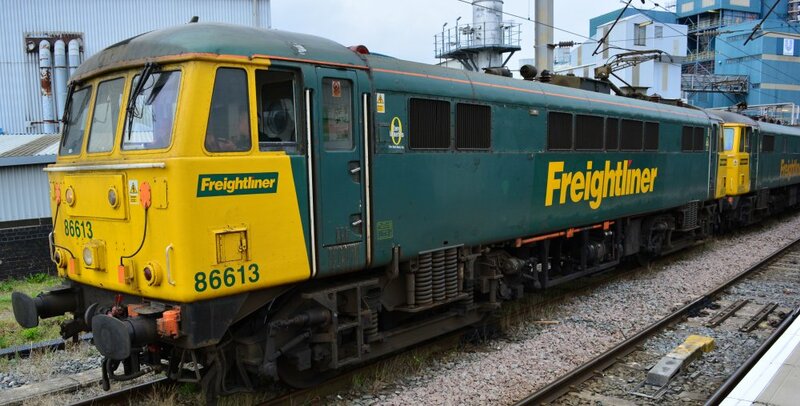 Class 86 maximum tractive effort 258 kN/58000 lbf, Class 86 electric locomotives have a maximum speed of 110 mph. Class 86 electric locomotives were built at English Electric Vulcan Foundry Co. works, Newton-le-Willows from 1965-1966. Class 86 express passenger electric locomotives are powered by an overhead 25 kV AC supply. The British Rail Class 86 was the standard electric locomotive built during the 1960s. One hundred of these locomotives were built 1965-1966 by either English Electric at Vulcan Foundry, Newton-le-Willows, or British Rail (BR) at their Doncaster works. The class was built to haul trains on the then newly electrified West Coast Main Line, from London Euston, to Birmingham, Crewe, Manchester Piccadilly, Liverpool and later Preston and Glasgow. They helped to replace steam locomotives, which were finally withdrawn by BR in 1968. A pair of Freightliner Class 86 electric locomotives (86639 and 86613 in the rear) arrived at Warrington Bank Quay station from Crewe on a test run (05/09/2016). Seven years younger than the type 87, the 3730 h.p. 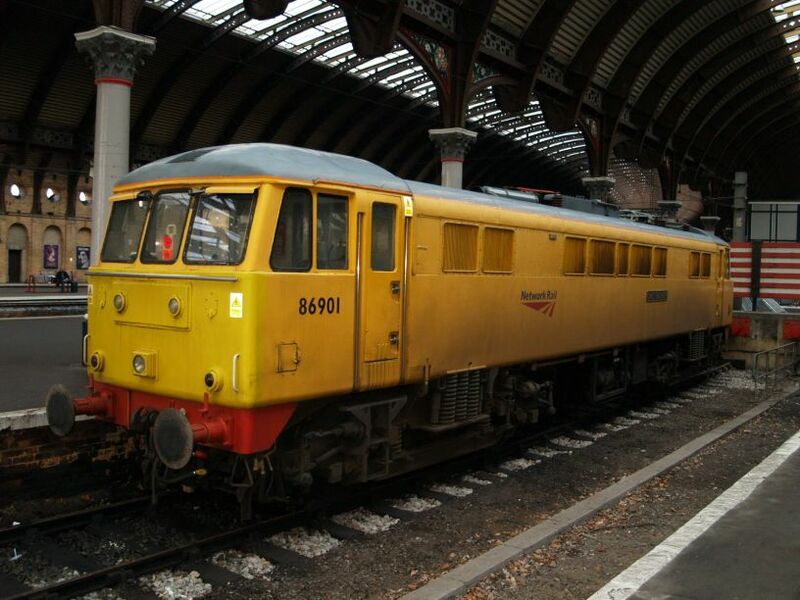 Class 86 901 electric locomotive 86901, was 86253 & E3136) standing in York Station. It has been named CHIEF ENGINEER and belongs to Network Rail (Network Rail yellow livery) and is 'employed' on track maintenance duties. The Class 86 electric locomotives were built at Doncaster or English Electric Company at Vulcan Foundry, Newton-le-Willows between 1965 and 1966. 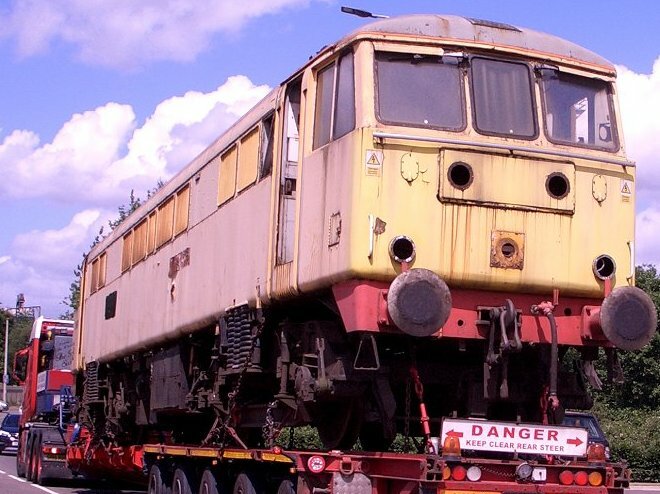 This brightly yellow coloured yellow locomotive might well end up in a museum itself! 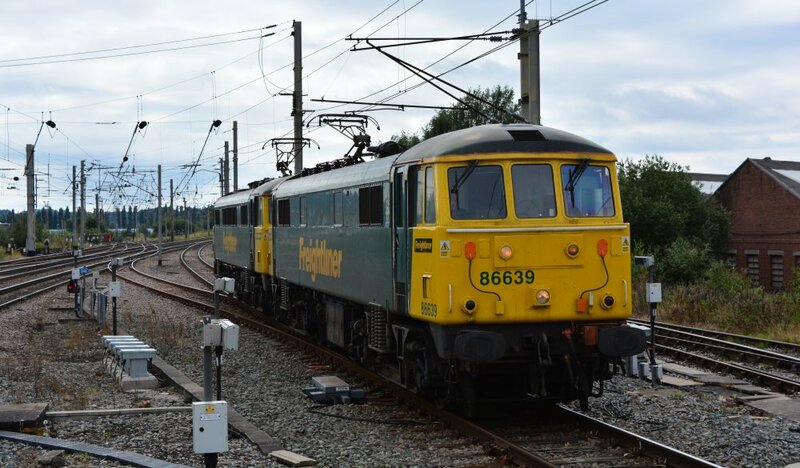 Class 86 86901 was rebuilt from Class 86/2 as a Mobile Load Bank test loco to test Overhead Line Equipment. 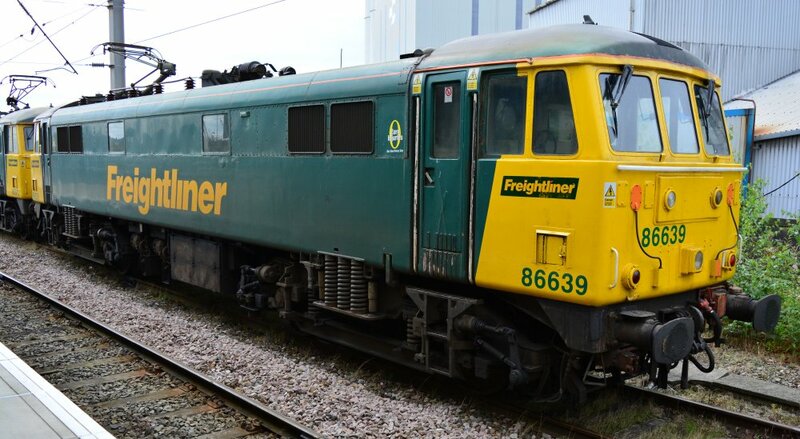 Class 86 86901 has been stored from 2015. 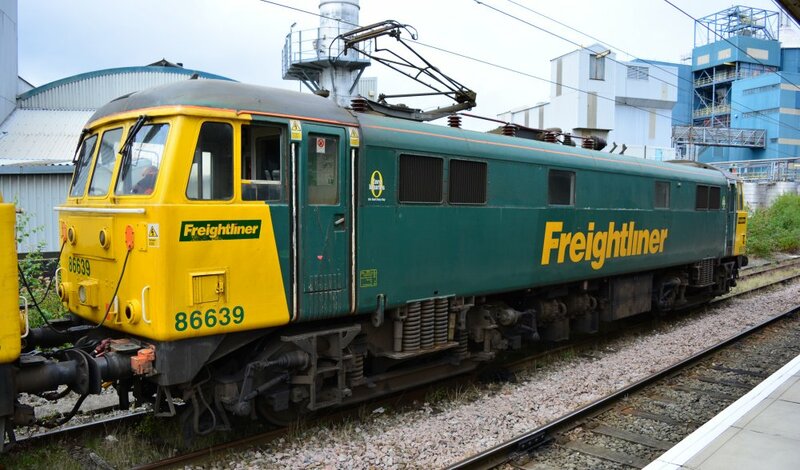 I, like others, believed that Class 86 electric locomotive 86901 "Chief Engineer" had been broken up or stored at Booth's in Rotherham, but not so! On Thursday 14th of June 2018 it was photograph by Mike Edwards (thanks for the photo) on a low -loader in Crewe - has it been stored in Crewe at Freightliner's depot at Basford Hall, Crewe, BUT current destination? 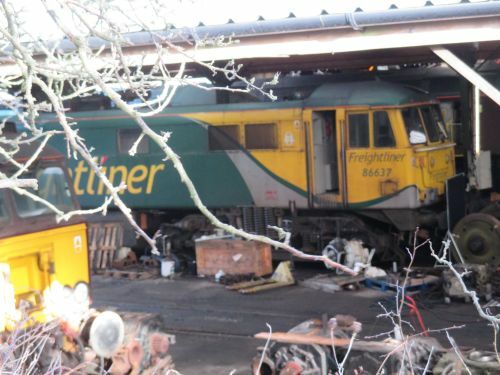 Its still in its Network Rail yellow livery, but in rather a shabby state! 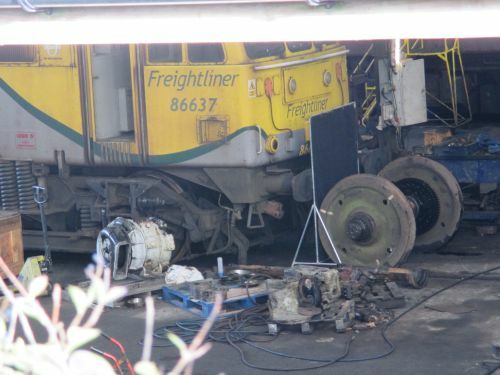 I hope 86901 is going to be restored and run again? Freightliner (ex ?) Class 86 electric locomotive 86637 in the workshops of West Coast Railways in the old Carnforth locomotive depot.